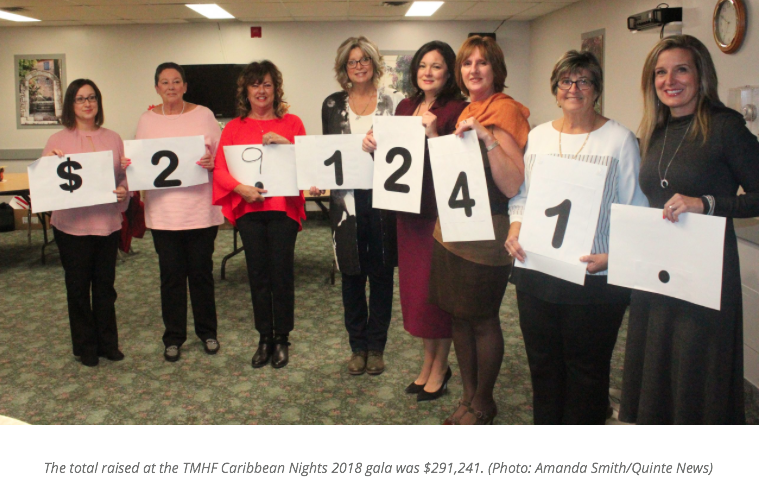 The community once again came together in support of the Trenton Memorial Hospital Foundation. The Foundation held their annual gala last Saturday and on Tuesday evening, Executive Director Wendy Warner announced over $290,000 was raised through the generosity of our community. The Foundation is hoping to raise $1.3 million towards the purchase of a new CT Scanner for the hospital, and Warner says they have achieved about 60% of their goal. She says there are a number of benefits of replacing the current 12-year-old scanner currently in use. The new CT will provide sharper quality images, faster scan times and 30-50% less radiation for patients. Warner also expects to see a 15% increase in usage of the new CT scanner. Thank you to our community for their continued support of Trenton Memorial Hospital and the TMH Foundation.